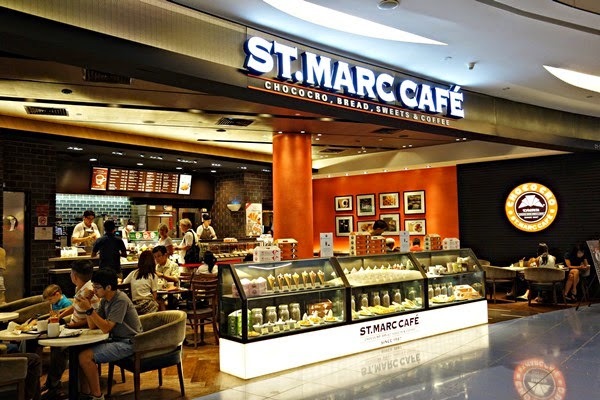 I finally had the chance to try the famous chococros of St. Marc Cafe a few weeks ago. I got the Chocolate and Strawberry flavor of it and decided to partner it with Matcha Latte.I prefer the strawberry over the chocolate chococrocs. I felt that the chocolate was a bit lacking but the strawberry was just right. The Matcha Latte on the other hand though was a total waste of money in my opinion. It was too strong, too creamy, too everything. It was EEWWWW. I'd definitely buy the chococrocs next time but stay away from the matcha latte.